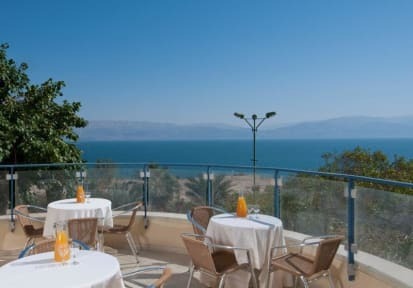 Some of the rooms have a private balcony looking over the Dead Sea. 3 Halls with audiovisual equipment. The Dining Room seats 240. Breakfast included in price. Additional meals (including packaged meals) should be ordered in advance. Food is Kosher. We thought that they had a well run, clean hostel. The room for two was perfect. Only issues for other travellers who are not YOUNG folks traveling is that it is noisy for a few hours late in the evening and then, it's perfectly quiet. The breakfasts are generous though the coffee machine wasn't working, so it was nescafe. Dinners are OKAY. Right next door to the ein gedi park. Quite good, especially for mountain hikers. It was so great. All the staff so nice. It was full of good people. The breakfast was the best. We really enjoyed our time in the youth hostel. The rooms and the balconies are great. The facilities of the hostel are also very good. Unfortunately, the beach at Ein Gedi is closed so you have to take a bus to actually go to a beach, but the bus stop is just there so it wouldn't be a problem. The only downside of the hostel is the food. The breakfast is actually not that spectacular as it seems in the pictures and the dinner is rather expensive for what actually is. We loved our stay. It’s near Ein Gedi and Massada and a short drive to Ein Bokek (Dead Sea beach). The rooms are very spaciois with a balcony. It got everything you expact at a hostel. Breakfast was ok. Convenient location ind scenic area. The beach at En Gedi isn't really worth going to, but it's a 30min drive to En Bokek - really worth it! No water several time! When we got back water, it was not hot! Had to shower in cold water! We were not explained how much time does it take to go to the spa and the beach! We were just told both need a shuttle! A little explanation of the distance would have made a difference in deciding what to do. Perfect location to go hiking in Ein Gedi. Rooms were clean and the breakfast was great!